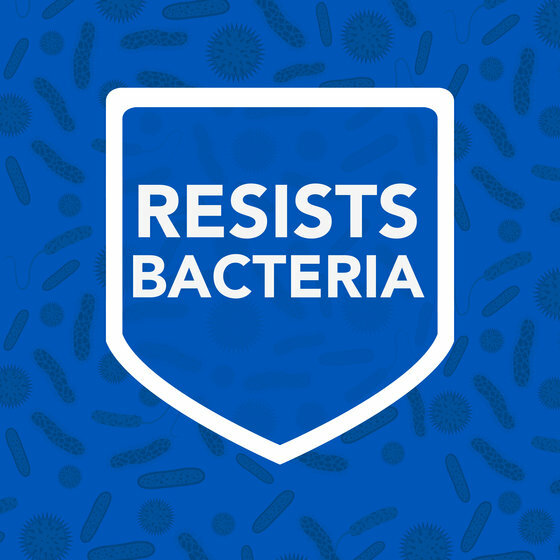 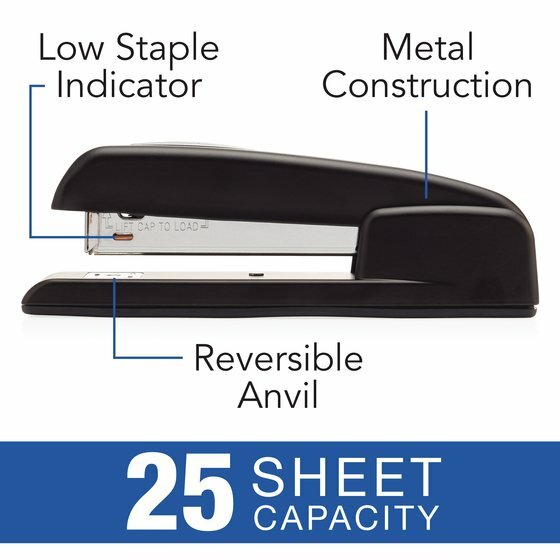 Modernized, bacteria resistant version of the traditional work stapler features antimicrobial protection and smooth, rounded edges for a more natural fit in your hand. 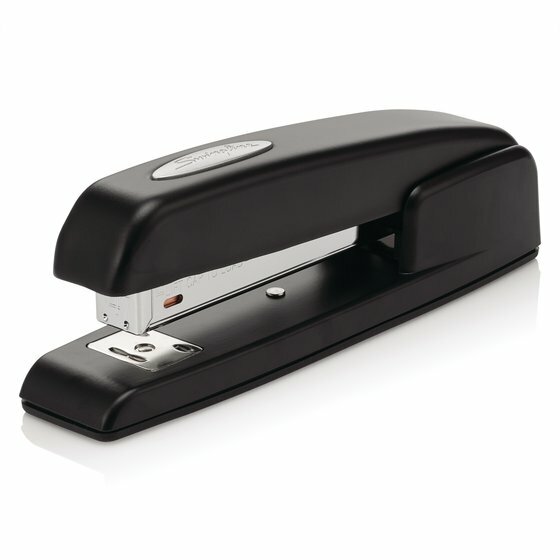 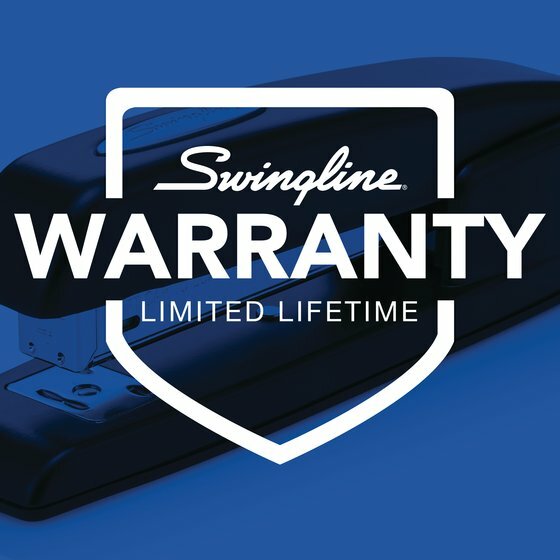 Sturdy and long-lasting, with a nice weight to it, this classic stapler has a modern shape that still resonates as Swingline. 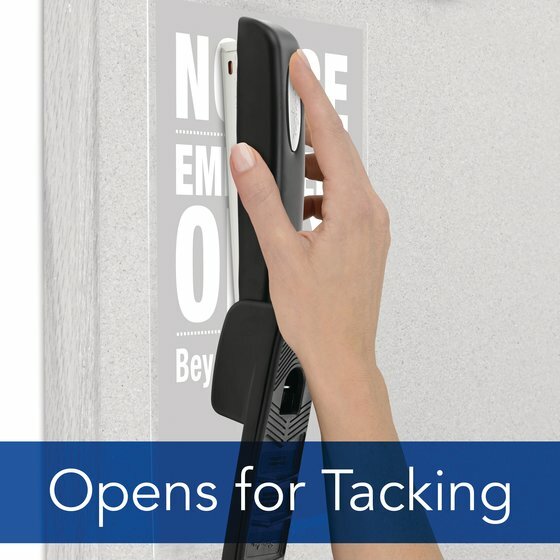 Metal construction ensures maximum durability and antimicrobial coating repels bacteria.